Get the Tipster App and bet whereever you are! THE TIPSTER APP. 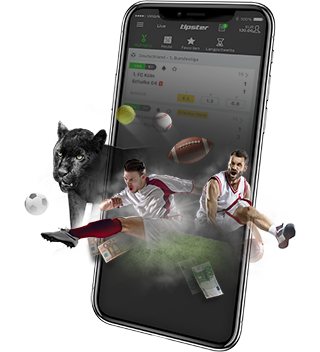 Fastest odds, cashout, unlimited multiple bets, payouts up to 1 million euros, and many other options – with the free Tipster App you have all the fun of betting handy immediately. 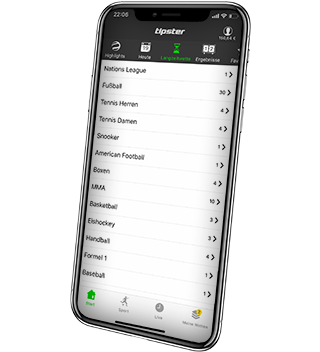 Register right in the app or log in with your customer card and join in the excitement live: football, basketball, ice hockey, handball, darts and many other types of sport. Thanks to the slim line, clear optics and absolute simplicity in operation, you will find betting with Tipster enormously enjoyable. There is a huge range of live bets, ultra-fast odds and unlimited multiple bets for your mobile betting slip waiting for you. LIVE BETTING. Stay tuned and make it exciting! Our great selection of sport and live betting offers you all the results from a large number of leagues and cups, including the Bundesliga, DFB-Pokal, Premier League, Süper Lig, La Liga and Serie A. We also offer live odds on NBA, NFL, NHL and many other events. CLEAR DESIGN. Full programme, optimum operability. 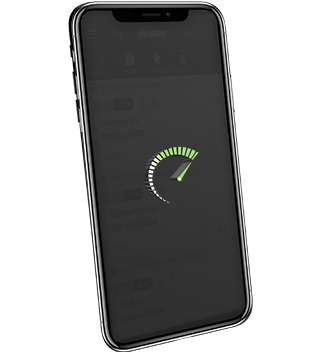 The Tipster App is modern in design, easy to use and offers you all bets, all types of bets and all the odds from over 350 events every day. You have the details of your account in front of you all the time, immediate access to your betting slips and can conduct transactions within a matter of moments. BEST PERFORMANCE. Be quicker than the rest! Thanks to very short loading times, rapid live scores and the fastest change of odds on the market, you can react to events in play in seconds and place bets immediately. LONG-TERM BETS. Place a bet now on the next champions. Are you sure who’s going to make it past the group phase? Don’t delay, bet today! Use our huge range of football bets and place a bet on your favourite teams today! SAFETY. Your data are safe with us and protected against access by unauthorised persons. This is checked regularly by the licensing authority Malta Gaming Authority, in short the MGA. 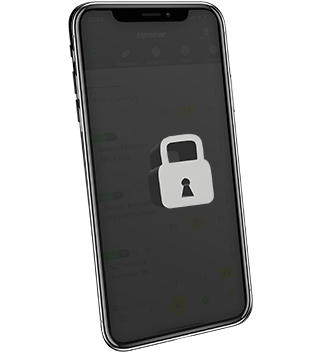 We comply with the strict legal standards with regard to data security, gamer protection and the protection of minors. ONE CARD, ALL THE OPTIONS. With your costumer card you have full access to all functions of Tipster. And from now on you can use your card to place bets not only in our shops, but online and via the app too. All with just one card. You already have a Tipster customer card? Great, then simply register yourself in the Tipster app with your existing login data. You’re in need of a Tipster customer card? You can get one in a Tipster shop nearby. You do bet online only? In that case you don’t need a customer card, but can simply register right in the app. To be permitted to play with Tipster, you must be at least 18 years old. Take care of your access data to prevent the data being misused. THE TIPSTER APP. 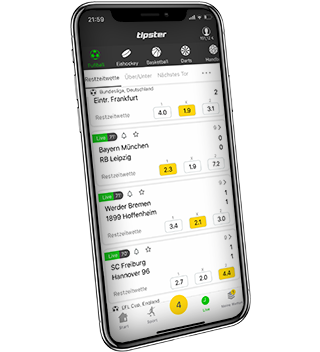 Fastest odds, cashout, unlimited multiple bets, payouts up to 1 million euros, and many other options – with the free Tipster App you have all the fun of betting handy immediately. Register with your customer card and join in the excitement live: football, basketball, ice hockey, handball, boxing and many other types of sport. Thanks to the slim line, clear optics and absolute simplicity in operation, you will find betting with Tipster enormously enjoyable. There is a huge range of live bets, ultra-fast odds and unlimited multiple bets for your mobile betting slip waiting for you. ONE CARD, ALL THE OPTIONS. 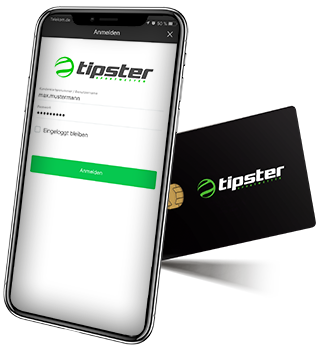 With your costumer card you have full access to all functions of Tipster. And from now on you can use your card to place bets not only in our shops, but online and via the app too. All with just one card. You already have a Tipster customer card? Great, then simply register yourself in the Tipster app with your existing login data. You’re in need of a Tipster customer card? You can get one in a Tipster shop nearby. Tipster Ltd. is a company registered in Malta with the commercial register number C50436 at the following registered business address: Tipster Ltd, 1st Floor of Melita Court, Giuseppe Cali St, c/w Abate Rigord St, XBX1420 TaXbiex, Malta. Tipster Limited is licensed for remote gaming by the Malta Gaming Authority of Malta (MGA/B2C/191/2010).